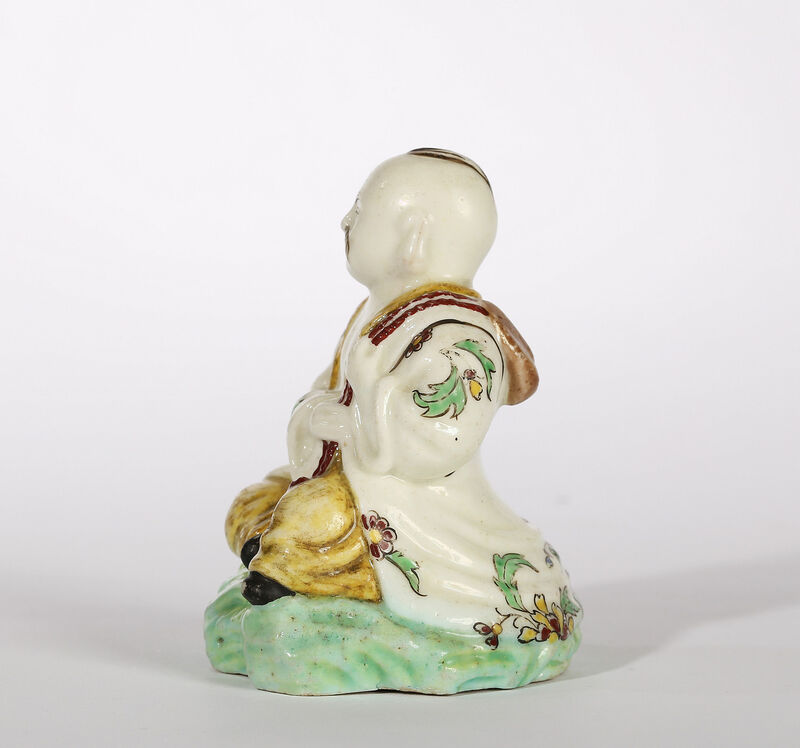 Wearing an open coat and seated on a green mound, holding a flask on a chord over his left shoulder, his coat enamelled with oriental flower sprays. 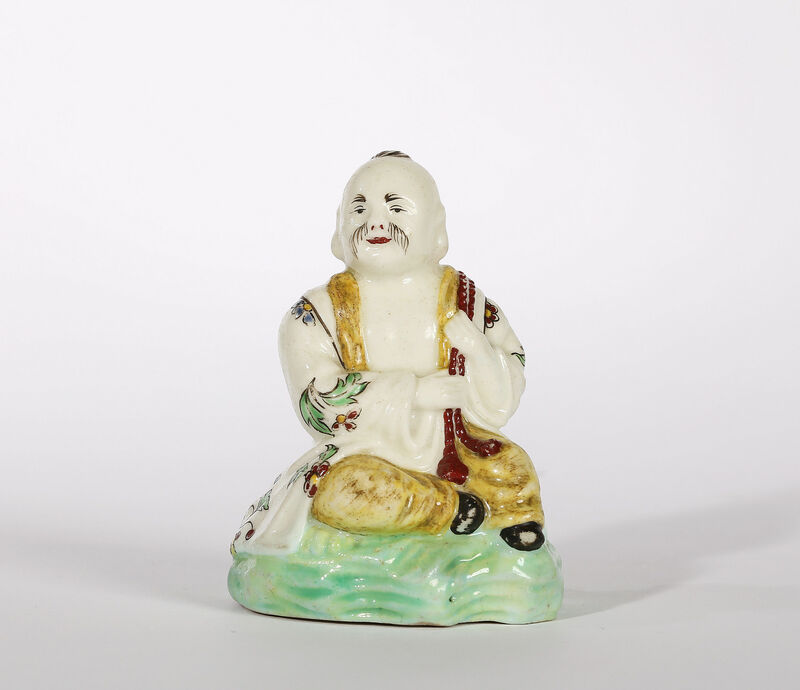 Whilst the figure appears to represent a Chinese man it is actually based on a Japanese Kakiemon model. 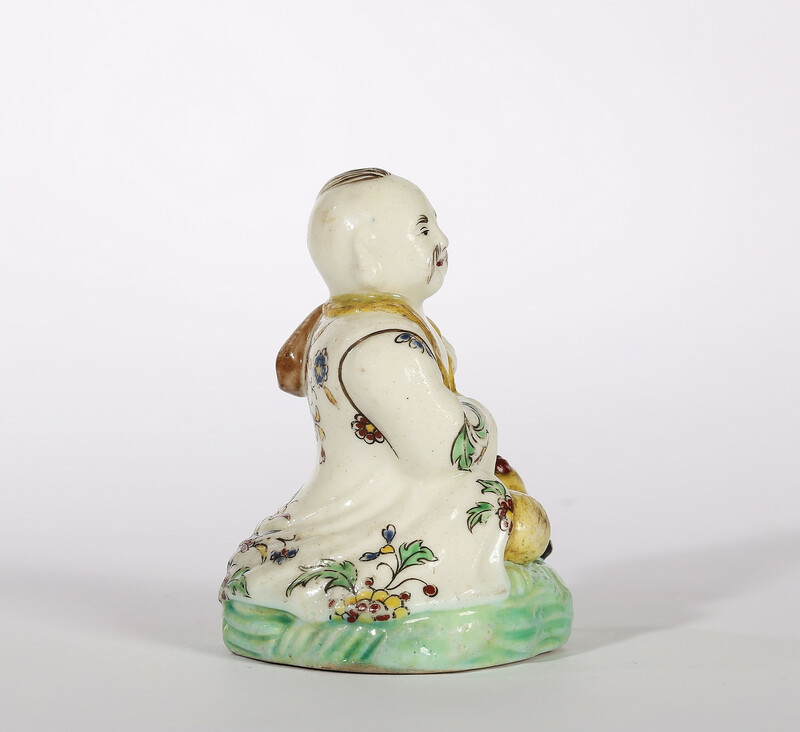 The Villeroy porcelain factory was established under the patronage of the Duc de Villeroy by François Barbin around 1737 and was the precursor of the larger Mennecy factory. 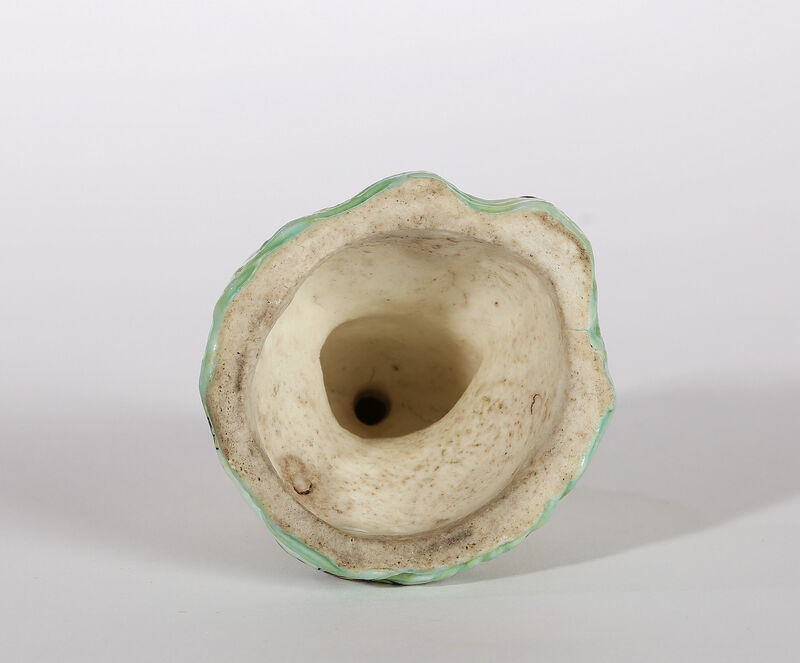 Villeroy wares have much in common with those of Chantilly and Saint Cloud, being soft paste, and sometimes using an opacified tin glaze. 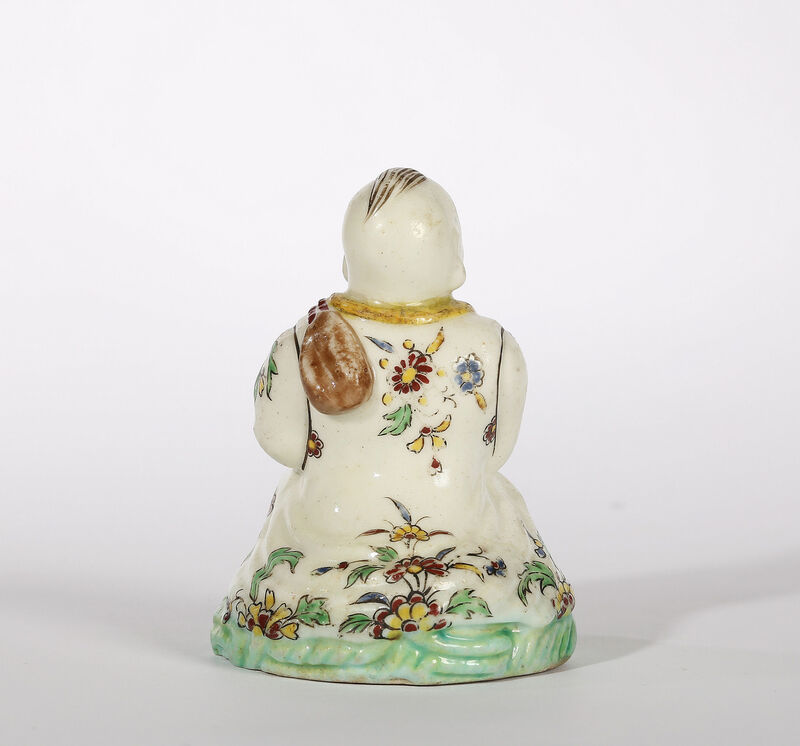 As with the Prince de Condé at Chantilly, it seems that the duc de Villeroy would supply porcelains from his noted collection to act as models for factory.